MY GOAL is to help others, create extra-ordinary incomes from businesses that can be worked around a J.O.B ! Many people don’t realise they can reach their goals and dreams without having prior online experience or success. It’s about having a mentor/coach and a system that anyone who really wants to, can follow and become successful. Hi! My name is Lynn Baillie and I’d like to welcome you to my blog. Here you can find out a bit more about me and how I may be able to help you. I was born in Glasgow, Scotland and have lived there all of my life. Although I’ve never moved far from my roots, I do love travelling and exploring this amazing planet of ours. Scotland is a great place to live and visit but there are also so many other awesome places around the world that I’ve enjoyed going to. After graduating with an Honours degree in Maths and Computer Science from the University of Strathclyde, I worked my way up the corporate ladder to go on to hold several senior management positions in the IT industry. In 2001, I left the corporate world behind and went on in time to became a successful entrepreneur and marketing mentor/coach. I have really enjoyed running my own business, over the past 17 years, from the comfort of my own home. I also greatly appreciate the time freedom this has given me in my life. I love travelling and meeting people. I enjoy swimming, reading, walking and cycling. I play the clarinet, saxaphone and piano and have been involved in sound engineering in the past as well. I enjoy a wide range of music from classical to jazz, gospel, blues and ballads. As a Christian, I like to support some of my favorite charities such as MAF who do incredible work in many of the poorer and inaccessible parts of the world. I also love jet-skiing, para-sailing, snorkelling and even been known to Scuba-Doo!! What attracted me to get involved in a home-based business was the freedom it offers. In the corporate world I found myself working long hours and sometimes having to work away at client sites which really limited my time freedom. As I love to travel, I only had a few short weeks to explore the world each year and with so much to see and do, I didn’t want to be so restricted. For the most part, I did actually enjoy my career and was well paid but I wanted more time and money than working a job could ever provide. Today, more than ever, I come across so many people who are struggling financially or just simply hate their jobs. My passion is to help those folks, who want to find a better way, support themselves and their families. Through my success and all that I’ve learned over the years I want to help others realise their dreams. It takes work and effort, of course, but there is a way out from the daily grind of the 9-5 rat race. Now that IS good news. In today’s economy there are so many people who are looking for a way to have more money, more time, maybe both and I know I can help by partnering with me through my carefully chosen business endeavours. Like so many, I did not achieve success right away. However, with each successive business I learned more and got better results each time til I came across a business opportunity where I really achieved the success I had aspired to. I was given a number of opportunities to speak internationally and provide coaching and mentorship in many locations around the world which I really enjoyed. With my business, I have been able to travel around the world to some amazing places and meet really interesting people who have enriched my life. I am so grateful for these opportunities and new way of living that I long to be able to offer others that same experience for those who want it. However, one thing that is important, is to have a strong enough desire to change your circumstances in order to fulfil your dreams. I was amongst the top income earners in the business and enjoyed many of the added rewards offered including all expenses paid trips to the US, to Hawaii, to Borneo and cruises around the Mediterranean. These all hold very special memories and prove to me that it is possible to make the transition between senior corporate executive to entrepreneur and having good mentors is key to your success. If you want to breakthrough, find a good mentor that has integrity and you can trust to take you on that journey. You want to partner with someone who has already achieved success and can help you achieve this as well. You may be reading my story because you’d like to make changes to your life, more money and/or more time but let me ask you – do you have a strong enough desire to make it happen? If so, do get in touch and let’s work together to achieve your goals and dreams. Self-development is a key part of mentorship and has helped me grow as a person and in turn I’ve been able to help others do the same. I have learnt so much from people like Tony Robbins, Jim Rohn, Bob Schmidt, Les Brown to name but a few. My goal has always been to find a way to make an income that leaves time for living and away from all of the stresses of the corporate world. Whilst working in the IT industry I was always under huge pressures to achieve certain targets and deliverables and with the pressure came long hours to meet the deadlines and keep the clients happy. I knew however that life was about more than just working and worse still, working to make somebody else rich! If you’re familiar with Robert Kiyosaki and his Rich Dad, Poor Dad series you’ll understand the way most have been taught to get a good education then a good job and then work hard until you retire. However the lessons learnt from the Rich Dad were altogether different. I’d highly recommend reading this book – it’s very enlightening and just may change your thinking about working a J.O.B. until you retire. How is this time and financial freedom possible for you and me – it’s called LEVERAGE. Bottom line is that leverage is the key to giving you more time and money – once I understood that, the key was to find out how to use this leverage to achieve this time and money freedom I so desired. 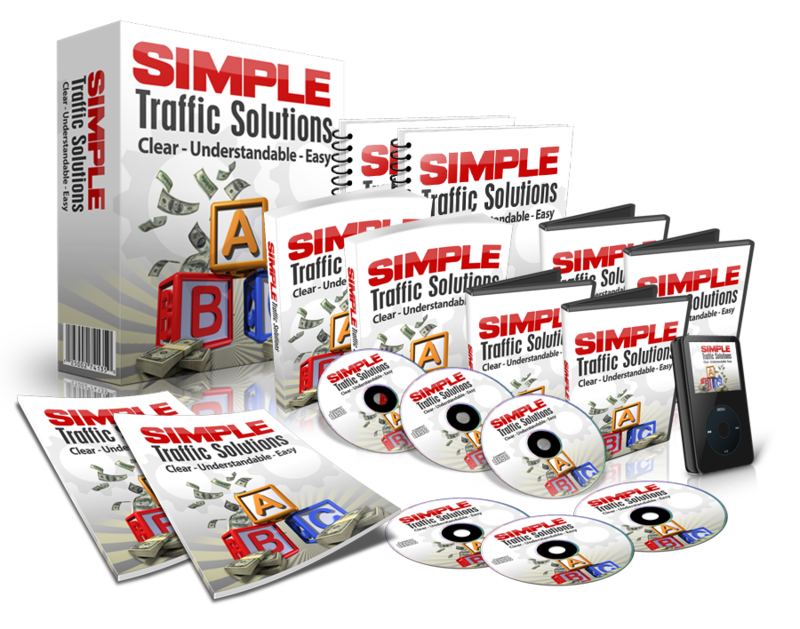 If you are thinking of starting an online business or looking to work from home the opportunity to do this has never been better than it is today. If this is you then I’d very much look forward to working with you and sharing my passion to help you create an internet lifestyle that will realise your goals and aspirations in life. My dream and vision is to help those wanting to make money online and grow their business to be able to live the internet lifestyle you deserve. It doesn’t matter where in the world you live, what job you may or may not have, what age you are, your background or what you want to achieve. What you need is drive and determination and then anything is possible. Will you be the next to get started? I have been able to create a lifestyle where I live life on my terms. No boss, no commute, no long hours and no more living from pay check to pay check! Waking up when I am ready to…NO ALARM CLOCKS! I believe, Life is for Living, NOT for Working. I’ve positioned myself in the right place with my business opportunities. You can too if you are ready and willing to take action right now. Getting started here. I’m certainly very glad I’ve made the transition from employee to having a business that I can develop and own. Is it time for you to make that change in your life? It’s not money that makes you rich, it’s business skills that make you rich. So get the skills to make the money. Here’s a great way to start – register NOW for the next webinar my very successful coach, John Thornhill, is running where he gives a ton of great info, no cost, no obligation but you’ll find out how you can succeed online. I said earlier that you need a good coach and a proven system that works – this does. It’s not a scam but a way to learn the skills you need to succeed online and how to make a very good income as you apply the skills – register NOW to find out more. In my business, I don’t chase people or hound my friends and family or anyone else for that matter. I don’t have to “cold call” lists of leads for hours on end. By setting up a simple, proven system those that come to me already know a little about me and understand that I am a real person and am serious about your success. Anyway, I sincerely appreciate you investing your valuable time to get to know me a little and I encourage you to seriously review the business’s that I’m personally passionate about for a good reason. They work and they will for you if you follow our successful and proven system. Check out the information and resources on my site and if you have any questions or if I can help, do get in touch. I like to work with positive people who have a can-do attitude and willing to learn new things and take action. If that’s you, I’m sure we’ll work well together! I look forward to connecting with you and being part of your journey to create the life you want and deserve. All you require to be successful is the desire to achieve success and the determination to stick with it until you reach your goals plus the right system to take you there. Success is a journey, not a destination. Make sure you enjoy the trip.